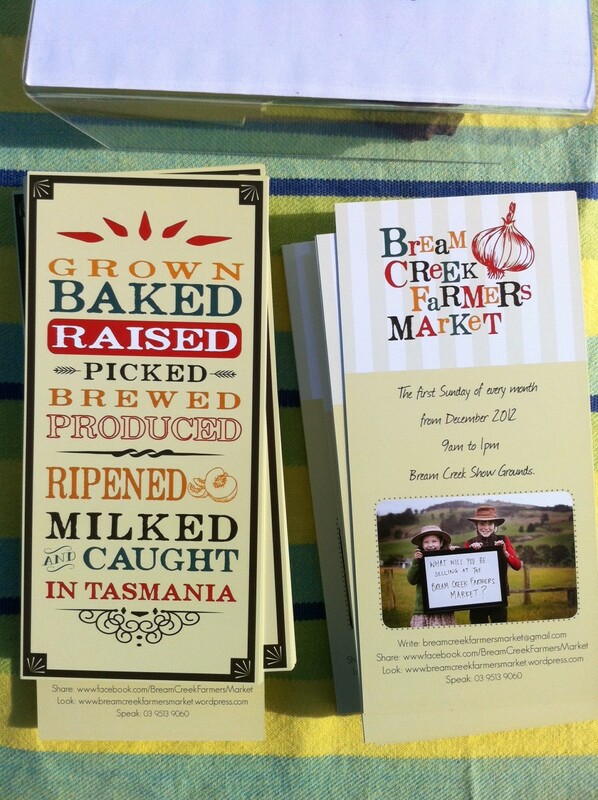 The next Bream Creek Farmers Market is THIS Sunday July, starting at 9am at the lovely Bream Creek Showgrounds. There will be live music from the fabulous buskers, a great range of stalls selling fresh produce, snacks, hot drinks, homemade cakes and so much more. We will also have a cider making demonstration from the Lost Pippin, boutique cider makers from the Huon Valley. If you have tried, or are contemplating trying to make your own cider, make sure you are at the market at 11:30am to get some tips. So, come on down to the market, warm your hands on a hot coffee or cup of soup, buy your supplies and enjoy a chat with your friends. Jakob’s Pantry – old fashioned cakes, tarts, pies and pastries – a hot favourite so be sure to get in early! Duggan Brand Apples – from the apple growing paradise of the Huon Valley. They will have 6 different types of apples including Royal Gala and Cox’s Orange Pippin, plus many more, http://www.huonvalleydirectory.com.au/directory-listings/item/duggans-brand-apples-and-pears. Bream Creek and Forestier Peninsula Community Stalls – packed with goodies grown and produced from these local areas, come and support your local community! Beanyard Coffee – wrap your hands around a fresh hot coffee, made with fair trade beans made by two local fellas – just what you need to get you started on a fresh Autumn morning. Sirocco South, Mic Giulianni – wild harvested mushrooms, asparagus, fresh pasta, lasagne and sauces. Sue Metzler & Greg Pitt – selling jams, preserves, dips and confectionary. Kellevie Kitchen – Kate North will be selling her locally made range of jams and chutneys. McHenry and Sons Distillery – gin, vodka and whiskey made at Port Arthur – as well as delicious boozy ice creams.